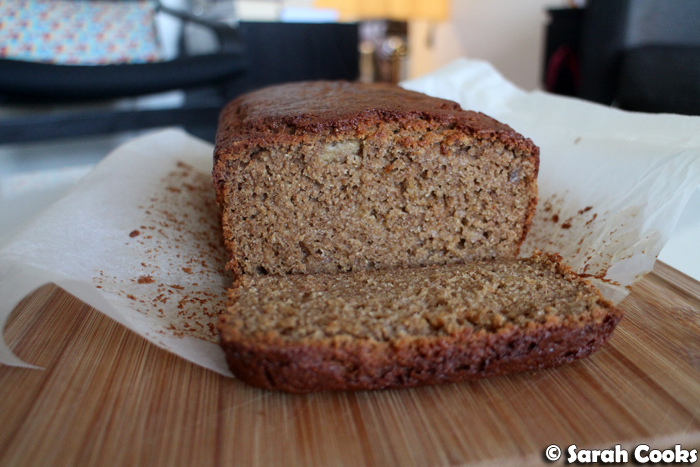 Buckwheat banana bread! I was looking for a way to use up a bag of buckwheat flour, way too many overripe bananas in my freezer, and this recipe in Donna Hay Magazine's first issue of the year was the perfect solution. I think that buckwheat flour is my favourite of all the "healthy" flours - it has a great nutty flavour, and is really easy to use. I find that buckwheat flour works easily in cakes, cookies and pancakes, and is easily substituted for regular wheat flour. The recipe is very easy to make - essentially, it's just a matter of mixing dry and wet ingredients together, and baking. 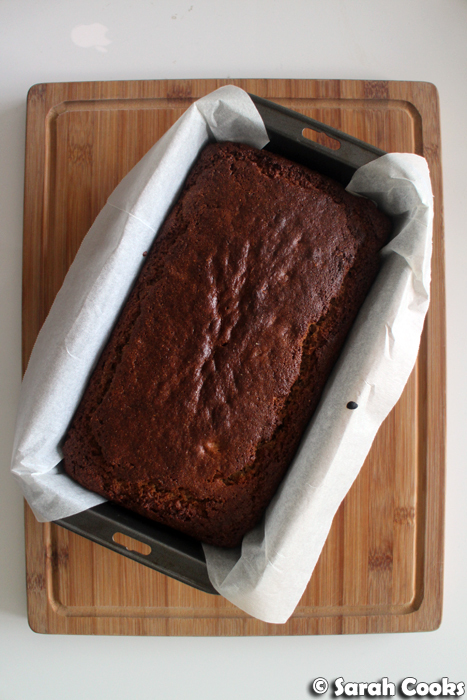 Although this recipe was found in the Fresh and Light issue of Donna Hay Magazine, I definitely think of this banana bread as a sweet treat, rather than a "healthy" option. 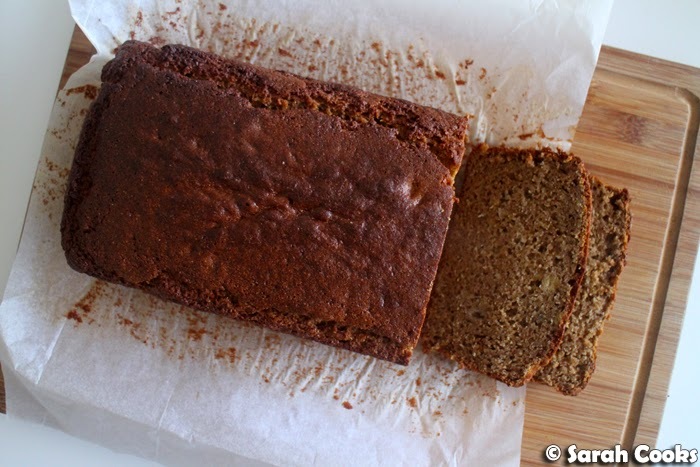 The fibre-rich buckwheat flour makes it a bit more wholesome and hearty than banana bread made with plain white flour, but there is still a lot of sugar in the loaf, in the form of coconut sugar and maple syrup. The bread had a wonderful spicy aroma from the cinnamon, a rich caramelly sweetness from the coconut sugar, and a nice bite from the buckwheat flour. Dee-licious. 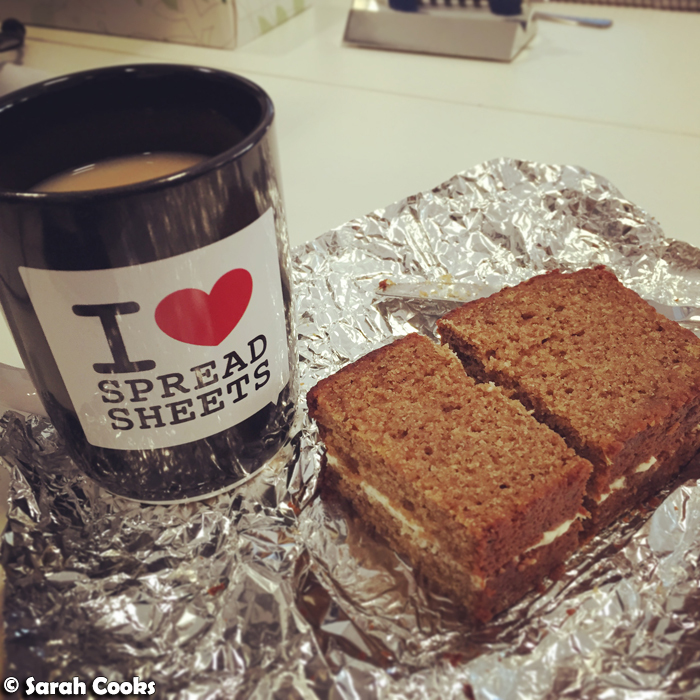 I ate it for breakfasts throughout the week, sometimes spread with cream cheese, and always with a nice cup of tea. Place the flour, sugar, baking powder, bicarb and cinnamon in a large bowl and whisk to combine. Add the banana, egg, yogurt, oil, maple syrup and vanilla and mix to combine. 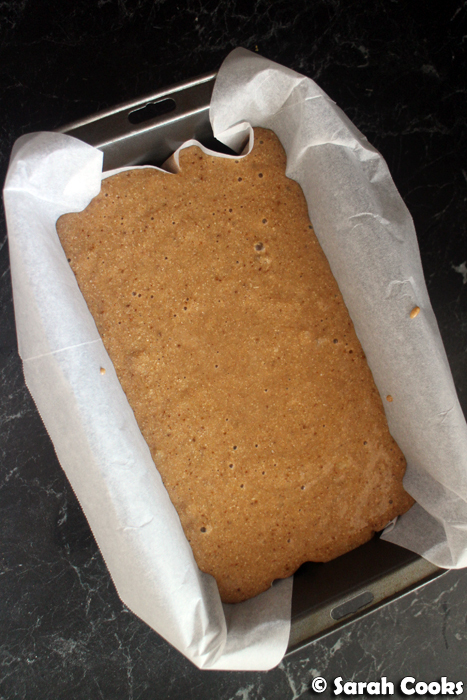 Line a 21cm x 10 cm x 7 cm loaf tin with baking paper. Pour the batter into the prepared tin. Bake for 1 hour to 1 hour and 10 minutes, or until cooked when tested with a skewer. Allow to cool slightly in the tin before transferring to a wire rack to cool completely. 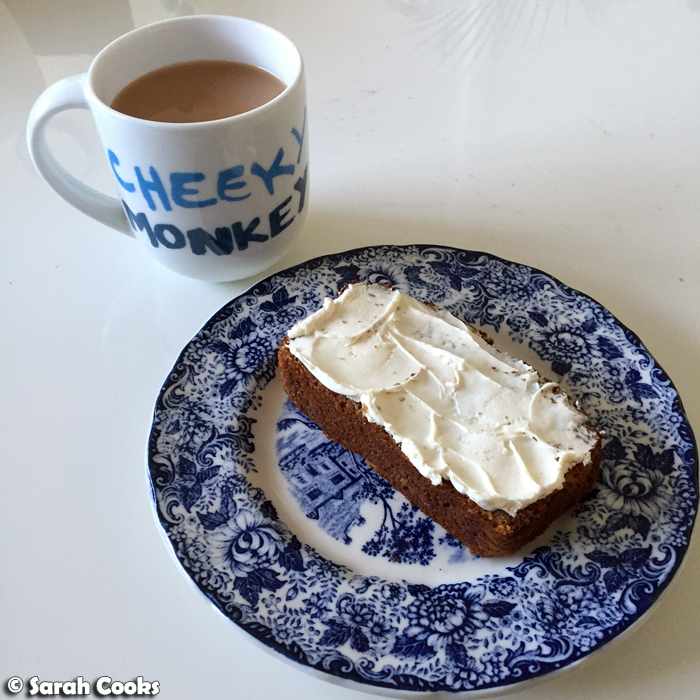 Banana bread sambo with cream cheese? Why didn't I think of that! having it with cream cheese sounds strange and also intriguing...I have a block of philly I need to use and this could be a hit!